RIGHT LIGHT: Lighting mixed-use spaces can be tricky. The holiday season is right around the corner, making this the perfect time to get ready to entertain family and friends. Whether those guests are coming just to watch the big game or to stay for an extended period of time, your media space will no doubt be a popular gathering spot. The types of fixtures typically used in a multi-purpose family room are different from those suited for a dedicated media room. In a mixed-use space, multiple layers of adjustable light are necessary to suit different tasks and myriad light requirements. The process of selecting fixtures for a multi-use space can be confusing.To get the right type of lighting, it is best to consult with a professionally trained lighting expert at an ALA-member showroom. 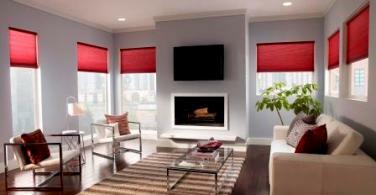 CONSIDER THE SOURCE: Inside and outside light affects TV viewing. 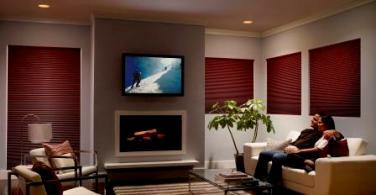 When lighting a media viewing space, it is imperative to consider all sources of light. 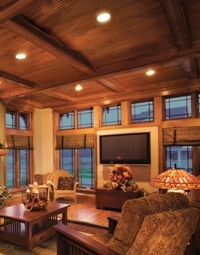 Natural light from outside is as influential as light from indoor fixtures. Multi-purpose spaces generally have windows, which create the need to control that light during the daytime as well as at night when even minor reflections can be distracting.Motorized shades are a convenient and effective way to manipulate ambient light. Just as important as your light source is the time of day and season, all of which affect the amount of light coming in as well as the angle and intensity of the light. New wireless dimmers easily attach to a wall or simply sit on a tabletop. Designed for simple do-it-yourself installation, the inexpensive devises can be synced to a phone, making it easy to control lights, window shades and room temperature with the touch of one button.